If you’re looking to take a trip to an exotic and exciting locale, you certainly can’t go wrong with Abu Dhabi. 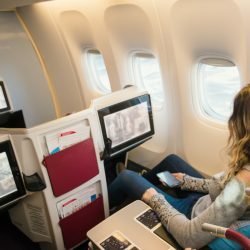 As the affluent capital of the United Arab Emirates, it’s become a destination for countless travelers who want an out-of-this-world experience. With so many unique sights to see in Abu Dhabi (see Abu Dhabi tours), the city quickly becoming a playground for wealthy travelers. And while commercial airlines carried 3.8 billion passengers to various destinations in 2016, tourism in Abu Dhabi seems to be booming. 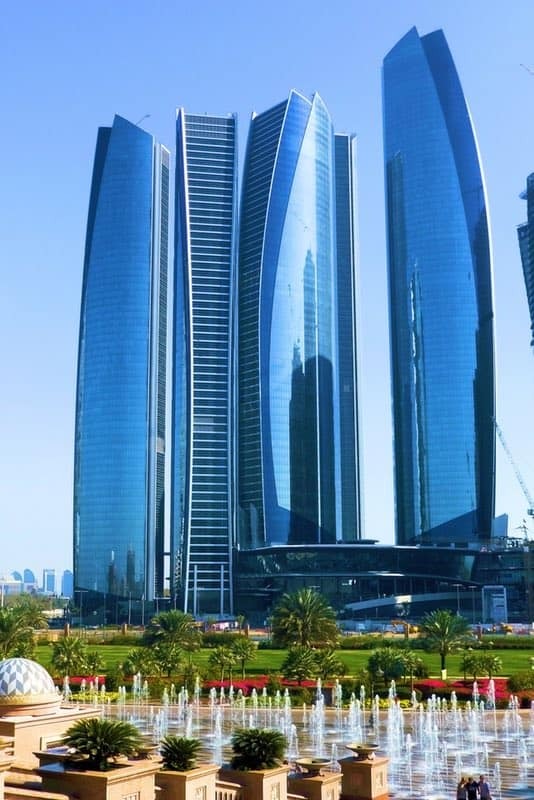 In 2018, Abu Dhabi’s hotels reported anywhere from a 4% to 7% increase in guest numbers and the nation’s tourism chief expects 6 million visitors will come to stay by the year’s end. Abu Dhabi may be known for the finer things in life, but it has its share of wacky attractions, too. If you intend to be one of those visitors but would rather opt for oddities than luxuries, you might want to consider making time for some of the sights on our list. If you’re an animal activist, you might want to skip this one — but if you want to see something totally strange with a tech twist, this might be up your alley. No, the camels aren’t robots; robots actually ride the camels during the race. At the Al Wathba Camel Race Track or the Al Magam Track, you can find robots riding on single-humped camels that race to the finish line. Operators control these robots remotely and drive along-side in cars. The reason for the robotic addition? Children used to ride on the backs of camels for these races, but that practice was outlawed in 2002. Apparently, the robots have whips — so even though the kids might be safer, that doesn’t mean the camels are being treated more humanely. Still, it definitely qualifies as something weird to do during your Abu Dhabi trip. Bonus: there are also organizations that allow you to ride these creatures yourself during morning or evening treks. If you’re a true adventurer, you may have considered going sky-diving on other vacations. But in Abu Dhabi, you don’t have to go the whole nine yards. You can simulate the experience at the Abu Dhabi Country Club, which is equipped with a wind tunnel. It gives you the sensation of zero gravity without having to plummet towards the earth. But if you really want a bird’s eye view of the city, why not head to the observation deck at the Jumeirah at Etihad Towers Hotel? You can grab a snack or have high tea in the clouds as you look down from the highest point in the entire city. No matter which option you choose, at least you won’t have to jump out of a plane. There are a couple of larger-than-life attractions all car enthusiasts should see during their stay in Abu Dhabi. The first is the Emirates National Auto Museum, which showcases the personal collection of Sheikh Hamad bin Hamdan Al Nahyan — an over-the-top billionaire who actually created a huge, white pyramid to display all of his cars. They’re housed on the island of Futaysi and include custom cars, vintage vehicles, convertibles, and an incredible mobile home shaped like the planet Earth. He’s even got an even larger mobile home that looks like Jabba the Hut’s flying palace. If you’re into classic cars and weird attractions, this one’s made for you. 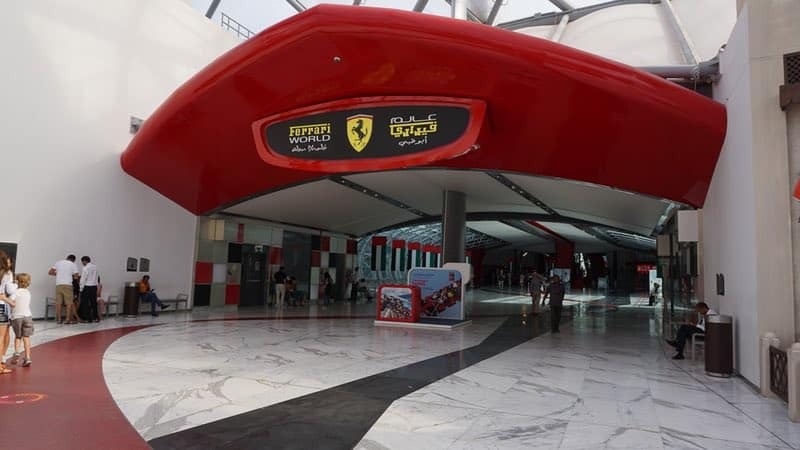 Car lovers and thrill-seekers alike will definitely want to check out Ferrari World. Located on Yas Island (which makes another appearance on this list), it was the largest indoor theme park on the planet when it opened in 2010. Complete with fast roller coasters, factory tours, and test tracks, you can bring the whole family and get your auto fix at this unique locale. Yas Waterworld, an awesome waterpark that opened this spring, is a great place to bring the whole family. With more than 40 rides, slides, and attractions, it was voted the East’s Leading Water Park and has a lot of interesting opportunities to offer. Aside from the expected body slides and tube rides, you can actually sign up for mermaid school here. But that’s not all. You can also be immersed in a 5D cinematic experience. Though we’re used to 3D movies and even 3D printers (which are used by construction companies to print concrete materials and even to make wedding rings, prosthetics, and a lot more), the concept of 5D is pretty cutting-edge. It’s made possible by pneumatic valves, which allow the movie theater seats to be partially submerged during the viewing of “The Legend of the Lost Pearl.” While pneumatic system origins can be traced back to the 18th century, using them in this way is pretty impressive, even to modern audiences. If you’ve got some water babies in tow or you simply want a way to cool off, Yas Waterworld might be a great choice. If you’re captivated by the idea of going to an amusement park during your trip, you’ll definitely want to include this on your list. Warner Bros World just opened its doors last month, allowing visitors to meet their favorite DC heroes and beloved cartoon characters throughout six different lands. Like Ferrari World and Waterworld, this can be found on Yas Island; the 1.65 million square foot park promises immersive experiences and nearly 30 rides and attractions. It seems like it’ll be a fantastic experience for families and the young-at-heart. Abu Dhabi might not seem like the natural choice for family fun or weird attractions. But this extravagant city has a whole lot to offer when you go off the beaten path.